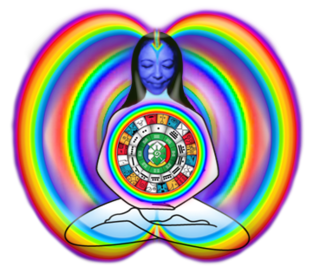 This is an energy portal or vortex where you will find tools to build a connection rainbow bridge between your body, mind and soul that will help you 'TransVibrate™' toward higher frequencies and dimensions, expanding your consciousness a step up. We have always been connected to ALL THERE IS, we have just entered a forgetting journey to have fun reconnecting and remembering who we are. The tools I share here are part of what I have learned on my personal journey, which accounts many lives here and on other realms of reality. I am also a inter-dimensional traveler and a Zuvuya surfer (Mayan term for a traveler of the “inter-dimensional thread” that connects past to future and all dimensions), and it is my pleasure to guide you through the awakening waves of consciousness. ©MiriamCunha 2016-19 - All rights are reserved, but you are welcome to share with permission.